That’s Right! In Maine at least, you can find farmers who are willing to sell their organic, pasture raised (during 3 seasons at least) eggs for $5.00 or under per dozen. Eggs are such a complete and diverse food. You can use them as a healthy stand alone food or of course use them in a variety of dishes. Each organic, pasture raised egg is a valued source of: Protein, Selenium, Vitamin B12, Phosphorus, Riboflavin and healthy Omega – 3’s. Boasting only 71 Calories and no Carbohydrates. Without a doubt, if you want to eat healthier and don’t know where to start. Start with eggs. Another super diverse good thing, is sprouts. Yes, you surely can buy sprouts at the store in the produce department. But why would you? Every person that is reading this can “sprout”. It is easier than washing dishes. Anyone can do this! You do need one tool that you can find at most health food stores, box stores and certainly on line. 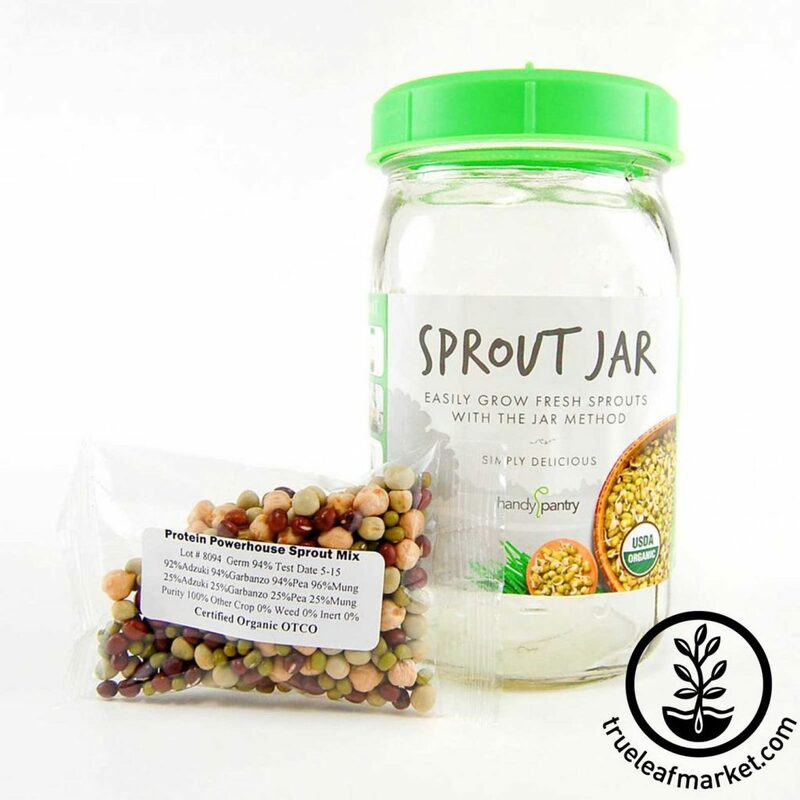 Our personal sprout jar is oddly enough called “Sprout Jar” and it is made by the Handy Pantry company. The initial purchase of the sprout jar will be under $18.00. But most jars come with a starter bag of lentils or beans and once you own the jar, each batch of sprouts, will literally cost you pennies. The benefits of eating sprouts are too many for me to list. But please do some research and see. They are versatile as well. Put them on salads, on sandwiches, in soups, in meatloaf or munch on them straight up as a snack. Go ahead and give sprouting a try. Not only will you be adding health to your diet, you will be growing something, watching the miraculous of life being exposed in front of your eyes and saving money! Good gravy!! I don’t even know where to start here. 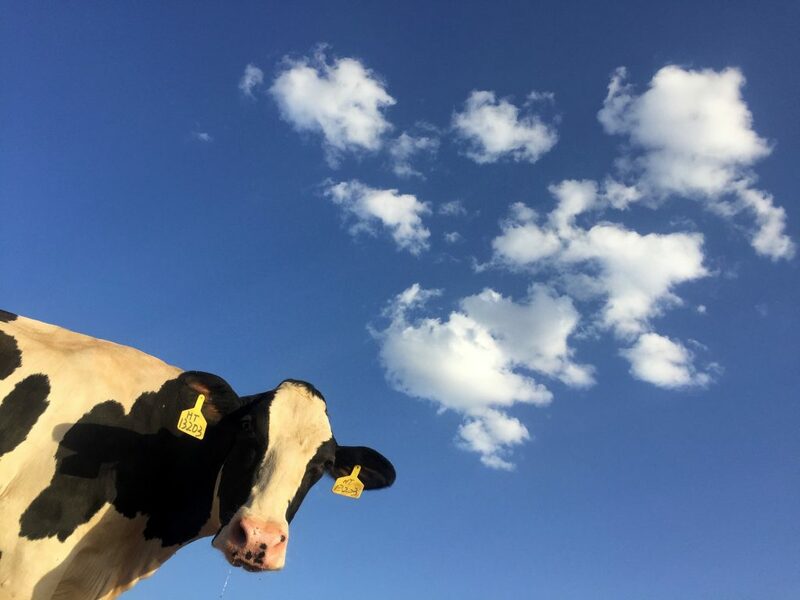 Raw Milk has got such a bad rap over the years and as with most of the “lies we have believed” in regards to our food supply, raw milk was almost looked upon as drinking poison. I remember as a child hearing stories that I won’t even repeat. Most came out of the mouths of family members that grew up on dairy farms, blaming particular physical or mental deficiencies on raw milk. I have to say, I believe it was corrupt information, news and agendas that spoke this rubbish to dairy farmers and caused many to close the family farm and turn our milk choices over to industry. The farmer and I are fortunate that we live in a place that has access to Raw Milk. It is $5.00 per gallon: just a few cents more than pasteurized milk from the store. We ourselves drink 2 gallons a week and are relatively normal. Any oddities, I certainly won’t blame on the milk. You want to eat healthy, you need to eat salad right? Well, salads are good, yes. But please don’t fool yourself. You can take a salad from amazingly healthy to moderately healthy to, “OK, it looks healthy” in a jiffy. Commercial salad dressing is FULL of sugar, salt, additives, artificial colors, artificial flavor, spices – which is a code word for MSG, and Carrageenan. If you are bored some day, do some research on Carrageenan. Don’t just look up one article. Actually do some research. You will be surprised at the information you find and that manufacturers are now putting this in everything! Back to the salad dressing. You can make your own, healthy, tasty versions of salad dressing for pennies. Experiment, make different kinds for different days, or find one that you really like and make enough to last you the week. Most are not difficult and there are millions of recipes and variations that you can try. Here are few Homemade Salad Dressing Recipes to get you started. 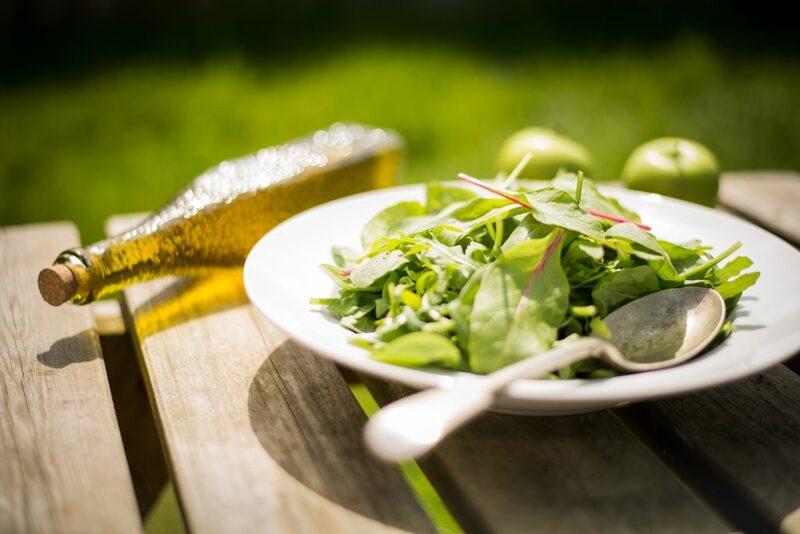 If you are going to eat salad, you need some Organic Salad Greens right? This is by far one of the biggest bangs for your buck. At any supermarket that I have gone into in recent months, I have seen and purchased these beautiful plastic tubs packed full of salad greens. I know…it’s packaged in plastic. I have had to get over that myself. There is a healthy assortment of greens that will give you a healthy assortment of vitamins and minerals. You can also go to your local farmers market and find farmers selling bags of mixed greens. Yes, even in the winter. For under $5.00 you can get enough Organic Salad Greens to last most people a week or a family for a couple of meals. It is a deal, and it sure is prettier and more healthy than a head of single variety lettuce. Check it out! It’s good for you! Not only is it good for you. It is a necessity to survive. It’s necessary for you body to function properly. And it’s FREE! You know this, I know this, every person over the age of 6 knows this. Resisting the urge to type while standing on my soapbox here! I have typed and deleted, typed and deleted. The long and the short…the next time you reach for a beverage, head towards your kitchen sink. Turn the little knobby thing and stick your glass under the part that has the hole in it. Out from it will come something that is so good, and that your body needs and craves. Too boring for you? Add a slice of lemon, a cucumber, some berries. You want something fizzy? Add some baking soda. Kidding!! You’re right…I still had one foot on the soap box. I just can’t help myself. All foolishness aside. Please, put down the other stuff and drink water. Your body will love you for it and it is one of my top “6 Good Things You Can Do For Your Health For Under $5.00 . Do you have some Good Things That You Can Do For Your Health For Under $5.00 that I haven’t mentioned? Hop over to our facebook page and leave us a comment or message. We would love to learn from you and share with others. Your wisdom is someone else’s new found knowledge!